Greta Van Fleet are an American hard rock band that formed in 2012. 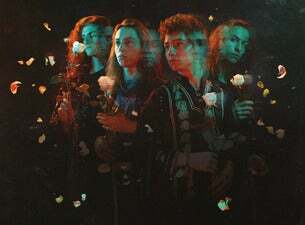 Current members are Josh Kiszka (lead vocals), Jake Kiszka (guitar), Sam Kiszka (bass), and Danny Wagner (drums). The band takes its name from a woman who lives in Frankenmuth, Michigan, and is used with her blessing. In early 2017, Greta Van Fleet's song Highway Tune was featured on the US TV show Shameless, bringing the band to a more mainstram audience. Last year, they also released two EPs, Black Smoke Rising and From the Fires, and will soon put out their debut full-length album, Anthem of the Peaceful Army.